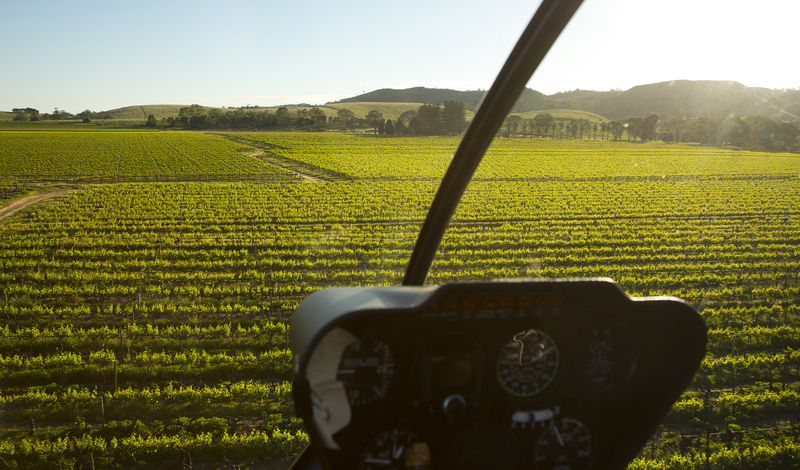 Barossa Helicopter tours are all about new experiences and taking the Barossa to a whole new level. It’s what we do best. 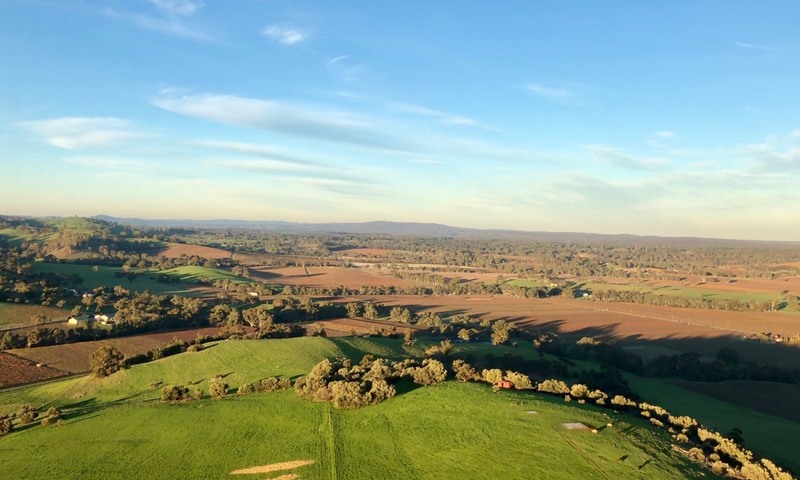 When you choose either the 20 or 30-minute flight you will see famous places like Penfolds and Jacobs Creek winery and Maggie Beer’s Farm, just to name a few. Beautiful sights include the Whispering Wall, the palm-lined streets of Seppteltsfield and the amazing colours of the landscape. We operate 7 days a week except for Good Friday and Christmas Day. 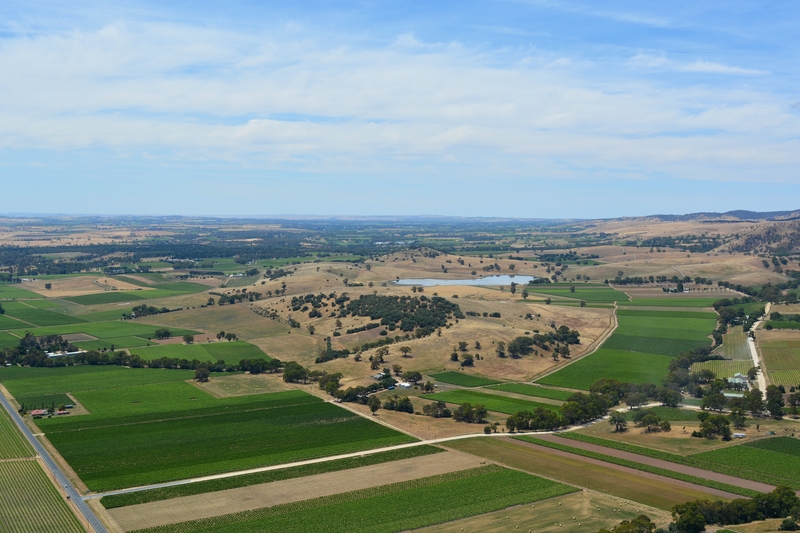 The Barossa Valley from the sky is a must see and do experience. We also offer Food and wine packages, are able to help you plan your special occasion or for something different we can help you tailor a package to suit your needs. 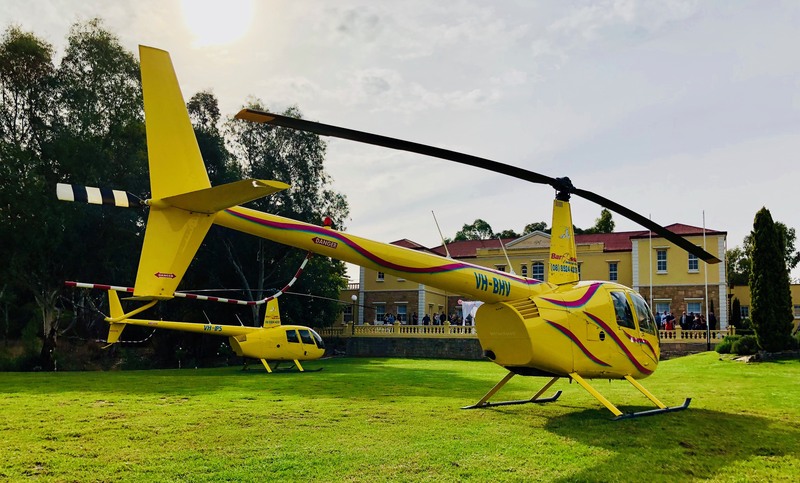 The helicopter is exclusively yours for this time! All flights are 2-3 people – 3rd person discount applies at time of payment. Take to the sky on a 4 minute flight over the picturesque Hoffnungsthal Valley. 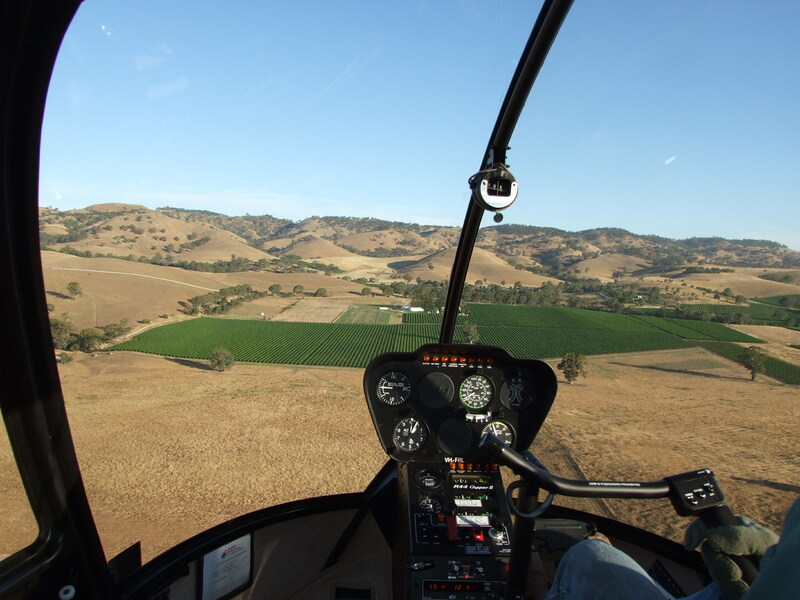 Flying over our 130 year old Shiraz vines, Cabernet Sauvignon, Viognier and other varieties. Grapes from our family farm go into producing some of Penfolds’ Iconic wines. Please call our office on 08 85244 209 to book this flight. Departing Hoffnungsthal Valley, heading over Rowland Flat taking in the views of Jacob’s Creek Winery’s “tank farm”. Some of these tanks hold up to 1.4 million litres of WINE! From there we take you to the southern end of the Barossa, past Lyndoch near Cockatoo Valley, over the Whispering Wall following up stream to the South Para and Warren Reservoirs and back to our base via Williamstown capturing view of the southern Barossa Ranges. 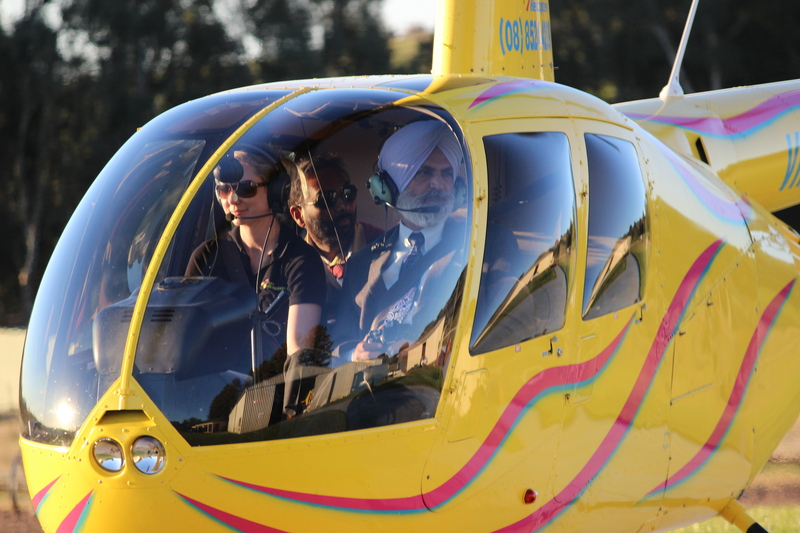 Then off to Nuriootpa, where your pilot will point out Maggie Beer’s farm and the famous Penfold’s Winery. Overhead Tanunda you can see the stunning old building’s of Chateau Tanunda and many old churches. Now heading towards Rowland Flat to take in the views of the towering Jacob’s Creek Winery’s “tank farm”. Some of these tanks hold up to 1.4 million litres of WINE! 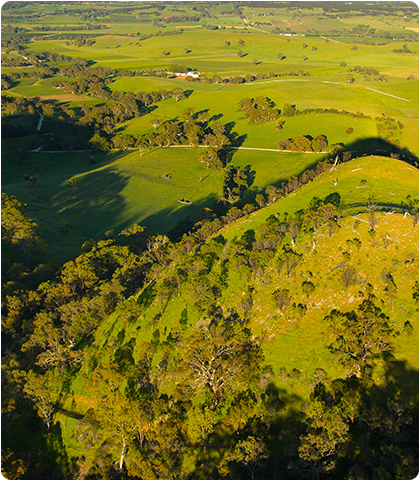 From there we take you to the southern end of the Barossa, past Lyndoch near Cockatoo Valley and over the Whispering Wall. 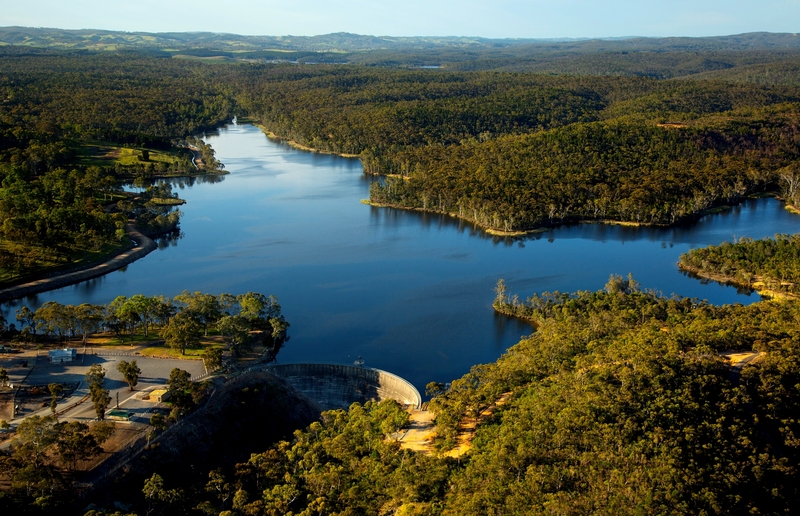 Then off to Nuriootpa, where your pilot will point out Maggie Beer’s farm and the famous Penfold’s Winery. 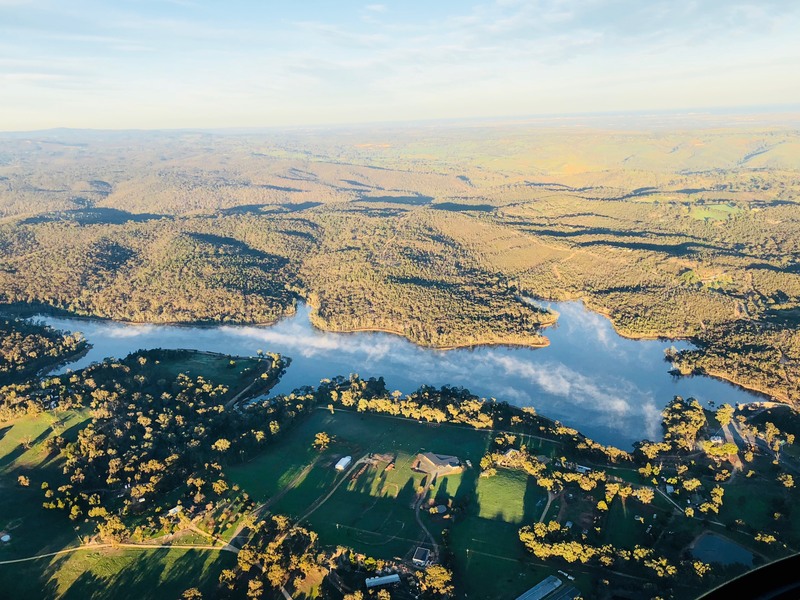 Time to head for Stockwell to marvel in the scale of the Wolf Blass Winery and the lime quarry near Angaston, home of Yalumba Wines and Cornerstone race horse stud. Overhead Tanunda you can see the stunning old buildings of Chateau Tanunda and many old churches. Flight length, Number of people, Date and Time.